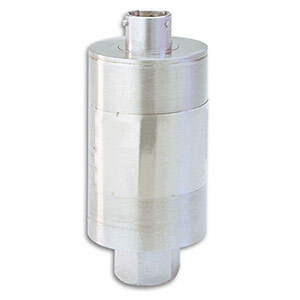 OMEGA’s PXM02 Series is a high accuracy, 30 millivolt output, industrial pressure transducer. The all stainless steel construction makes it suitable for harsh industrial environments. The PXM02 has a high operating range, a broad compensated range and excellent temperature compensation which gives stable readings in harsh applications. They are available in gauge, sealed gauge or absolute models as well as bar or psi ranges. G 1/8 or G 1/4 pressure fittings are available as well as connector or cable electrical terminations. The PXM02 is also available in standard/imperial configurations, with 7/16-20 UNF or 1/4 NPT ports, and models from 0-10 to 0-30,000 psi pressure ranges. Please see the PX02 for complete details, or contact our Pressure department for more information..
참고: 0-160 mBar and 0-400 mBar ranges are available on models with amplified outputs only.